MatTek has the broadest manufacturing capability and the most efficient distribution of safety mats in Australia. Because we manufacture our products, we can offer them at the most competitive prices. We have the widest range of mats and matting for commercial, industrial and specialised applications. Our large selection includes rubber safety mats, entrance mats, anti-fatigue mats, office mats and much more. Aided by 45 years of experience, our team can recommend the most suitable products for your application. We have a dedicated and trained customer support team ready to provide immediate assistance and prompt deliveries throughout Australia. Our focus on commercial and industrial markets allows us to come up with solutions that meet their exact matting needs. 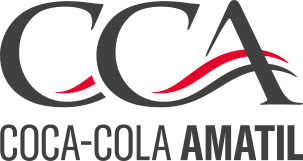 We partner with top suppliers around the globe to ensure world-class quality while staying committed to competitive pricing. To ensure that your work environment – whether it is in the commercial or industrial sector – is safe is one of the most important aspects of your business. Flooring is especially important so it’s essential that you invest in mats that will make your commercial premises a safe place to be for you, your employees and your customers/visitors. Finding the perfect commercial mats or rubber mats can be difficult; especially when your business needs specially crafted products that are durable, safe, fit for purpose and affordable. For the best quality rubber and safety mats in Australia, we’ve got you covered. Welcome to MatTek; we specialise in manufacturing a wide range of safety mats that are suitable for all kinds of commercial, industrial and specialised applications. Our product range is comprehensive so no matter what kind of mat(s) you’re looking for, we’re sure to have what you need. 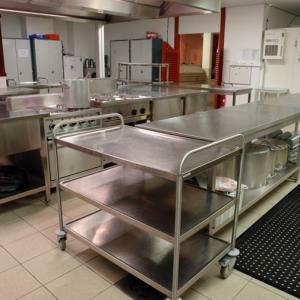 So whether you’re looking for matting for your commercial kitchen, industrial warehouse or exterior office areas, we can offer you a vast range of floor mat solutions for your business. Furthermore, we use a wide variety of materials when making our mats, so you’ll be able to find the perfect solution for every area of your premises. And, if you’re looking for a way to increase your brand awareness, our logo mats and message mats provide the most perfect opportunity to do so! As we specialise in the manufacture of commercial and industrial mats, our team has a comprehensive knowledge of what makes a perfect safety mat. We do not simply create generic mats; we craft our products to cater for the specific requirements of each and every one of our clients. In addition, we partner with only the best suppliers in the world who provide us with high-quality raw materials to work with. This is the only way that we can ensure our customers receive the best possible product, with no compromises on quality. Our level of expertise and experience is unrivalled in the industry so you know you’re getting the best of the best when you choose to buy from MatTek. What makes us the best mat supplier in Australia? Established in 1972, MatTek has been providing high-quality matting solutions throughout Australia for many years.Our company is completely Australian owned and, as our focus is on the commercial and industrial sectors, this targeted approach has allowed us to exclusively hone in on these areas and explore the best ways to manufacture and supply our specialist products with the end customer in mind. Our presence within these sectors has allowed us to become close to our clientele and learn what their nuisances are when it comes to safety.We understand what works and what doesn’t so get in touch with us today and we’d be happy to help you find the perfect matting solutions for your business. Exceptional customer care comes as standard here at MatTek. We understand that not every client has the same needs and we tailor our mats to the unique layout of your business, considering the purpose of each room and what solution is best suited.Not sure what kind of mats would work well in your business? We can arrange for one of our local specialists to audit your space and recommend the right mats for you. You can get in touch with us here to schedule a call out. As we produce all of our speciality mats in house, we have intimate knowledge of our products and can provide unrivalled support for any issues.Furthermore, our customer service team pride themselves on providing a friendly service combined with a passion for our products. So whether you’re looking for a rubber door mat for the entrance of your newly opened hotel or you need an anti-fatigue rubber mat for every room in your energy plant, we’ve got just what you need. For more info on our products or to make an order today, be sure to reach out to us. You can call, fax, e-mail or send us an enquiry online and we will get back to you as soon as possible with ideas and solutions to suit your business. And we’re a social bunch so you can also get us over on Facebook, Twitter and Google+ too! Anti-slip floor mats designed to provide safety in wet or dry conditions. A range of chair mats available in various sizes and materials. Suitable for carpets or hardwood floors. Designed to provide protection for high-traffic floor/entrances and increase staff and customer safety. Designed to enhance entryways in commercial buildings, schools and shopping centres. Highly absorbent with aggressive scraping. A range of stylish and practical floor coverings to suit commercial and industrial applications. A range of attractive, heavy duty entrance mats ideal for entryways, foyers, lobbies and walkways. Customised Mats for a range of applications including high traffic, low traffic entrances. Mats designed to ease fatigue on leg, foot and lower back. Suitable in dry areas. Mats designed to ease fatigue on leg, foot and the lower back. Suitable in wet areas. Non-slip natural rubber sheeting for applications such as protective covering, ute or van flooring. Designed to provide traction and enhance comfort in any industrial application. A range of specialised safety mats providing an extra level of protection for outdoor and indoor applications. A complete range of accessories and add ons to ensure you get the most out of your matting solution. Browse our wide selection of commercial mats, designed to keep floors clean and improve staff efficiency. These mats help remove dirt, debris and water from shoes, as well as ease fatigue for workers. Our custom printed mats are ideal for promoting brands and messaging. We offer both indoor and outdoor mats available in different thicknesses and lengths. We manufacture a complete range of rubbers mats and matting. 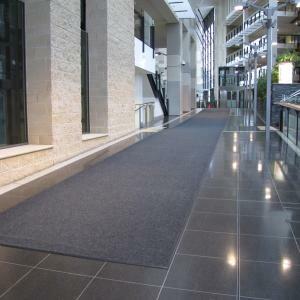 Whether you are looking for a rubber mat to place outside your entrance to remove dirt, sand, mud or other debris from your shoes or looking for a long lasting non slip mat to increase safety in your building or perhaps want to line your floor and provide protection with rubber matting MatTek has the solution for you. Our industrial mats are specifically designed to meet the demands of heavy industrial use, maintaining a clean and safe environment for equipment and workers. Our mats are suitable for medium to high traffic areas and wet or dry environments where traction, comfort and relief are needed. MatTek’s range of safety mats will ensure there is a solution for your commercial or industrial application. We produce safety mats for commercial office buildings to prevent slips, trips and falls, safety mats for warehouses, factories or production plants to reduce worker fatigue and increase productivity or safety mats for use in slippery areas to increase traction. 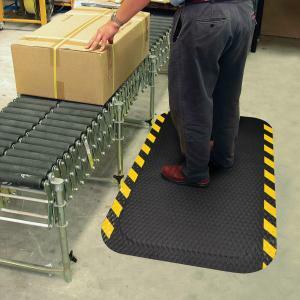 Our wide range of rubber safety mats is suitable for indoor and outdoor applications. Whether you are looking for fire resistance, slip and trip protection, anti-fatigue or mats that simply increase overall comfort and productivity, our selection has something in store for you. MatTek is a family-run company and one of the most trusted matting distributors in Australia. Our commitment lies in superior product quality and unparalleled customer support. We are proud to have the most flexible manufacturing facility in the country. We do not just sell safety mats – we want to offer a solution. Browse our wide selection today.